30 Days of Veganism! : Day 11 - A few new ingredients.. When I started thinking about becoming Vegan I was imagining all of things I would be cutting out of my diet - not so much the new additions. So far I've found quite a few new tastes and substitutes that I would eat if I were vegan or not. 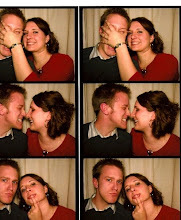 Sheese - This was one was recommended by Kiley and I must say its an awesome find. It a Vegan cheese that actually tastes like cheese. I'm told it doesn't melt too well, but I crumbled it on a salad with almonds, beans, and sun dried tomatoes - so good! 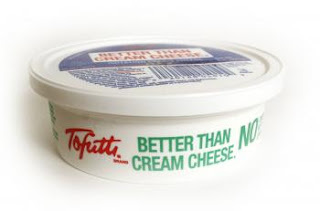 Tofutti's Better than Cream Cheese - I haven't eaten cream cheese in years because it made me feel so yucky, wish I would have discovered this earlier. Tastes just like cream cheese, but dare I say better?! Add this one to your cart, I found it at Safeway. Garden Burger Breakfast Sausage - Really good cut up with beans, rice, vegan cheese. The sausage fills that greasy/salty meat craving I sometimes get, but its a thousand times better for you than the real thing. Gimee Lean Ground Beef, Tofurkey, etc. etc. Any meat substitute in a tube, box, etc. It's not meat, it's not even close. Use sparingly and do not focus youre whole meal around it. i'm so impressed and shocked! i can't believe you two went vegan. I'm interested to see if you keep at it after 30 days. :) good luck! Way to go, guys! So proud of you two. Now get over here and pick some squash and tomatoes!! !